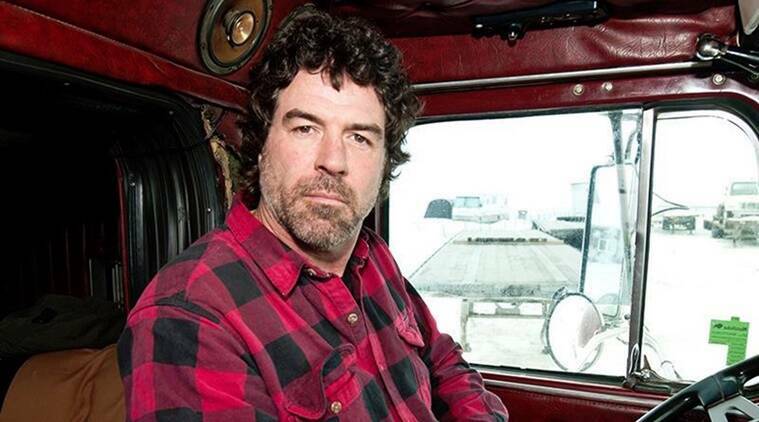 Darrell Ward was a famous Truck driver and reality star who rose to prominence in 2012 as a result of his role on the hit American Reality TV Series Ice Road Truckers, in which he featured alongside Austin Wheeler, Ronald “Porkchop” Mangum, Lisa Kelly, Carey Hall, and Ray Veilleux amongst others. Besides being a truck driver, he is also adored by many for being very charitable. During the 2016 catastrophic flooding in Louisiana, he single-handedly drove his truck to several locations within the state to deliver food and other relief items to victims of the flood. Without wasting much time, let’s get you informed on who Darrell Ward was; his early life, net worth and sadly, the event that led to his demise. Darrell Ward was birthed on August 13, 1964, in Missoula, Montana, USA. He is an American of White ethnicity, but there is no information whatsoever as regards his educational background. As a child, he was known to have offered a helping hand to his grandparents who owned a couple of harvest rigs in Missoula, Montana. As time went on, he opted to learn how to drive a truck so he can assist in transporting the farm produce. Having learned how to drive a truck, he began supplying farm produce to customers of the Harvest rigs in several locations. Over time, he left the farm and started trucking goods for Alaska West Express Company from Alaska to Montana, before progressing to even farther destinations. For 30 years he kept driving highway trucks to several locations in the United States and Canada. His rise to fame began in 2009 after he was offered a contract by History channel to feature as a cast on its hit American reality TV series Ice Road Truckers season 6 which focused on the activities of truck drivers operating in the remote territories of Alaska and Canada, thereby crossing frozen rivers and lakes in the process. As expected, Darrell Ward accepted the deal and was asked to partner with Lisa Kelly on the show. Within a little period of time, he grew a huge fan base as a result of his personality and well-thought motto – Any Road Any Load. For several years, he remained a regular on the show until the season x (10), following circumstances beyond his control. The 28th of August 2016 started like every other day for the famous truck driver and reality star, Darrell Ward. On that day, he attended the Great American Truck Show in Dallas, before deciding to fly to the shooting location of a new show he was working on. Earlier that month, he had scored a deal with History channel binding him to feature on a new documentary TV Series centered on the recovery of wrecked planes. As a result of this, he boarded a single-engine Cessna 182D plane which took off from the Missoula International Airport. Barely 45 minutes after takeoff, the plane developed a little problem in Clinton, Montana. While trying to make an emergency landing at Small Rock Creek Airport, the plane crashed and erupted into a fire that killed Darrell Ward and the pilot on board. After his death, there was a series of investigations by the National Transportation Safety Board to know the actual cause of the crash but their reports haven’t been made public till date. At the event of his death, he was survived by his wife Gwen Ward, two children who go by the name Reno Ward and Terra Ward, as well as 2 granddaughters birthed by his daughter Terra. His body currently rests in Hillcrest Cemetery, Deer Lodge, Powell County, Montana USA. See Also: Harry Treadaway – Biography, Movies And TV Shows, Is He Gay? Being the private person Darrell Ward was while alive, not much is known about his personal life (net worth inclusive). However, before his demise, several sources pegged his net worth at an estimated $1 million. Even as we have been unable to authenticate this figure in any meaningful way, it is realistic owing to the fact that he was a very important cast on the reality show he was a part of. Nevertheless how much he earned as salary is something we might never get to know.